First, I would like to wish all of you a very happy and creative New Year. During the brief break I had between my two teaching terms, I was able to take in an exhibition of Charles Edenshaw’s work that I enjoyed very much. 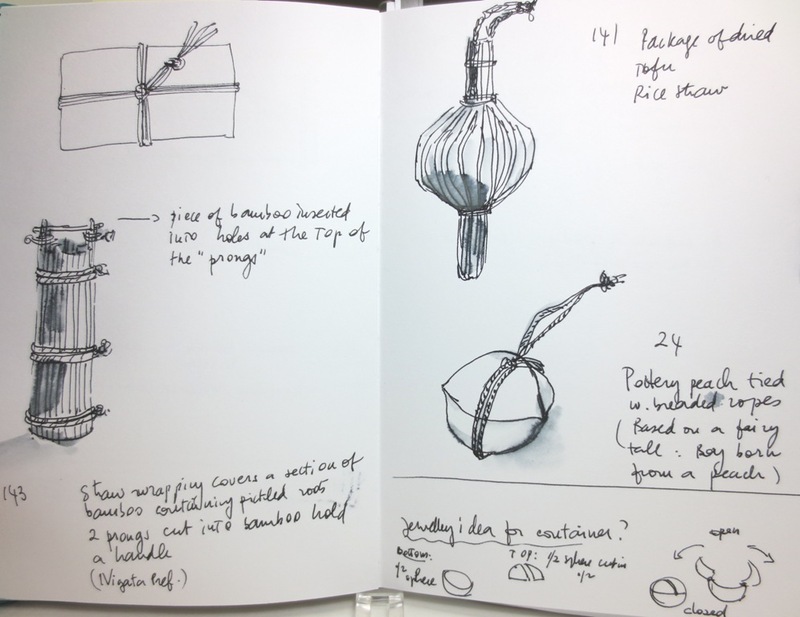 I intend to take my Jewellery Art & Design students there for an art history field trip in a couple of weeks, but I thought I would give you a short review of what I saw. 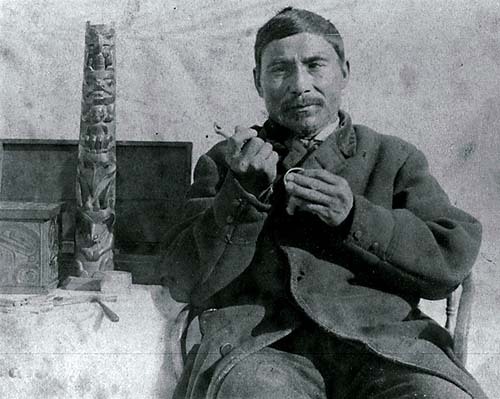 Charles Edenshaw (1839-1920) lived and worked on Haida Gwaii and was already well-known and recognized in his lifetime. 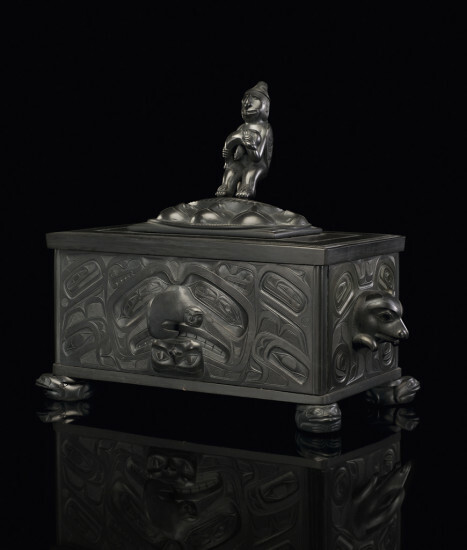 He is considered the foremost Haida artist, a standout among Northwest Coast artists, and is internationally renowned. 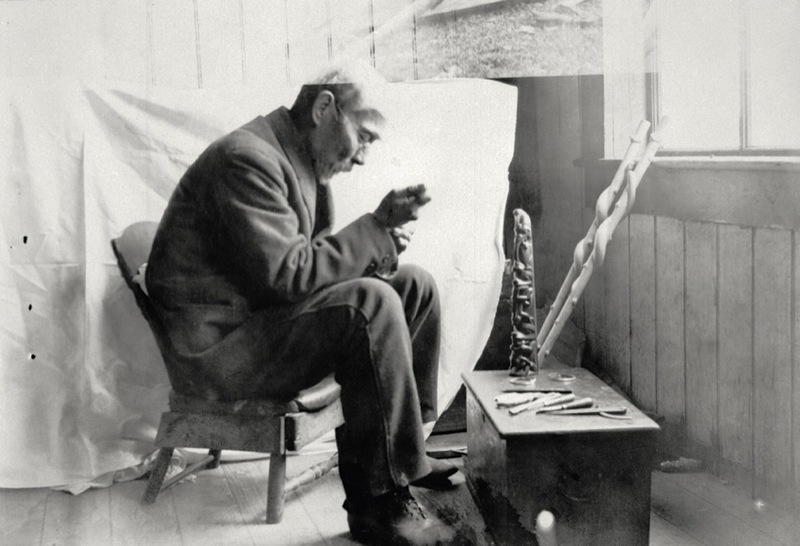 He left an important legacy, not only in his work, but through his descendants as well, such as his grandson Robert Davidson, an internationally acclaimed artist himself. This exhibition, organized by the Vancouver Art Gallery (October 26 to February 2, 2014), is the first major survey of this incredibly prolific artist. Over 200 pieces are presented in a wide range of materials and techniques, including metal, wood, argillite, weaving, and carving. On display, are totem poles, canoes, transformation masks, model long houses, chests, platters, bowls, spoons, canes and, of course, jewellery. 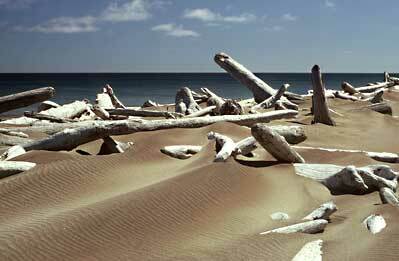 I had the opportunity to visit Haida Gwaii twice, a few decades ago. Back then, it was still called Queen Charlotte Islands. 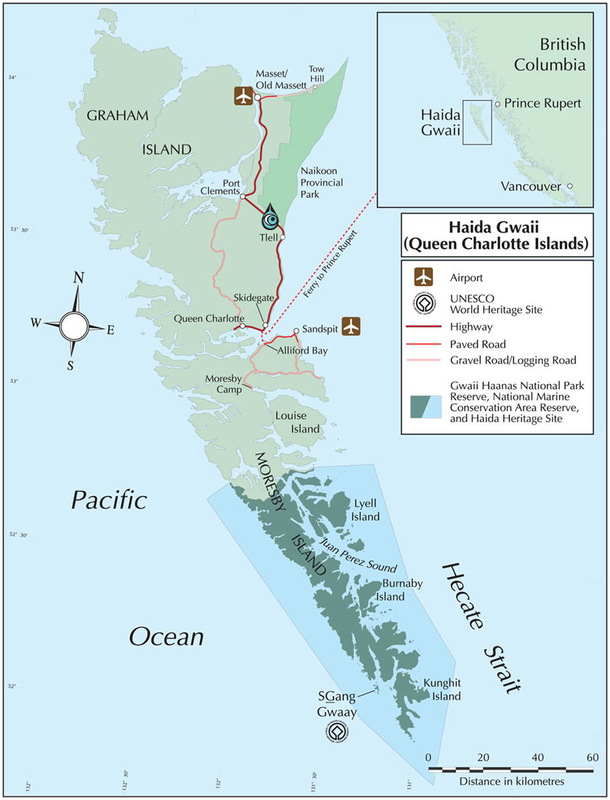 It was renamed Haida Gwaii (which means “Islands of the People”), to acknowledge its aboriginal origins, as part of the Reconciliation protocol between the Government of British Columbia and the Haida people. This archipelago, constituted of two main islands surrounded by over a hundred smaller islands, is located on the North coast of British Columbia, just south of Alaska. The overnight crossing from the mainland, 150 km on the rough open seas of the often stormy Hecate Straight gives a taste of how remote and wild this place is. 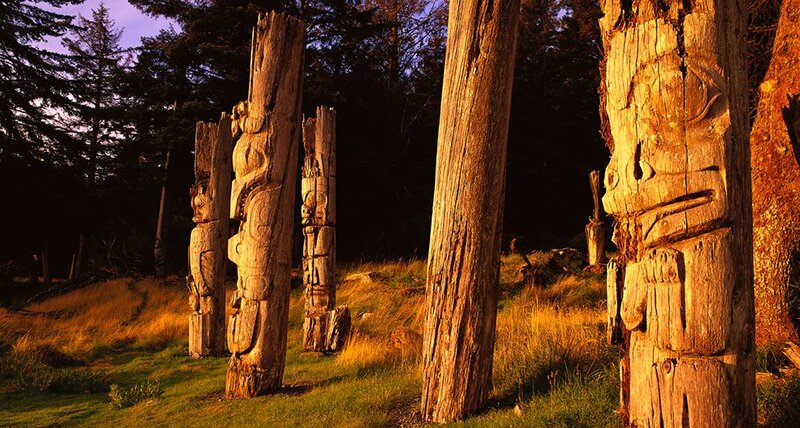 It is home to pristine old growth rainforests and species that are found nowhere else in the world, and to astounding cultural artifacts, like Gwaii Haanas National Park Reserve and its totem poles. On both occasions I was taken not only by the wild beauty of this place, but also by the power and the spirit of the natural world. 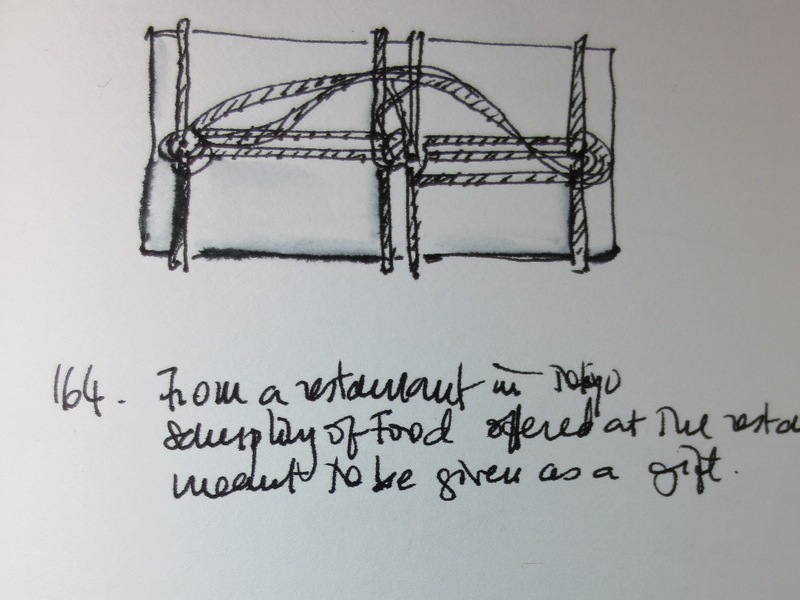 While there, everything was fodder for my imagination, I always had very vivid dreams, I often felt the urge to draw, to write or to make sculptures or jewellery. 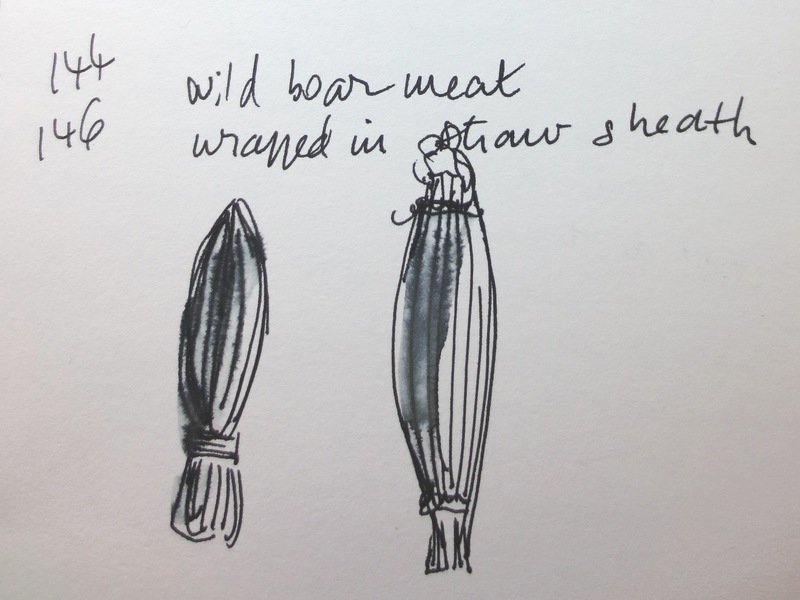 Each time, this creative energy fuelled me for several months afterwards. 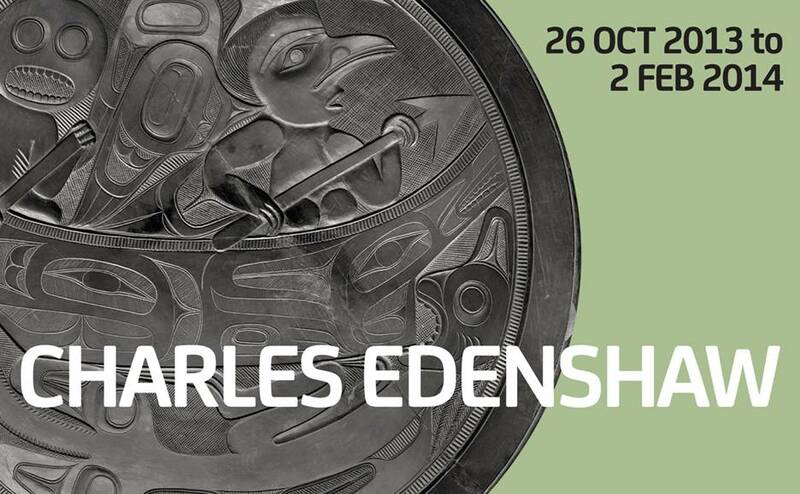 Charles Edenshaw was remarkable in his ability to harness the spirit of Haida Gwaii, transform it and create magnificent works of art. The exhibition shows his evolution as an artist. We see him early on in his career explore European designs and iconography, and masterfully incorporate them in his work, surprisingly revitalized. 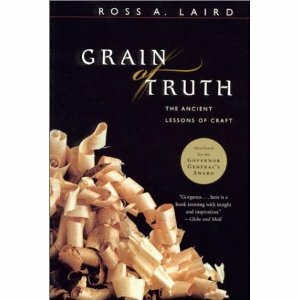 We see him draw on his ancestral Haida traditions and stories to build his own distinct vocabulary of shapes and forms. Anyone who has been on the West Coast knows how powerful and exuberant nature is here. Northwest Coast Native art is highly formalized, as if Native artists want to bring some order to this chaotic world. 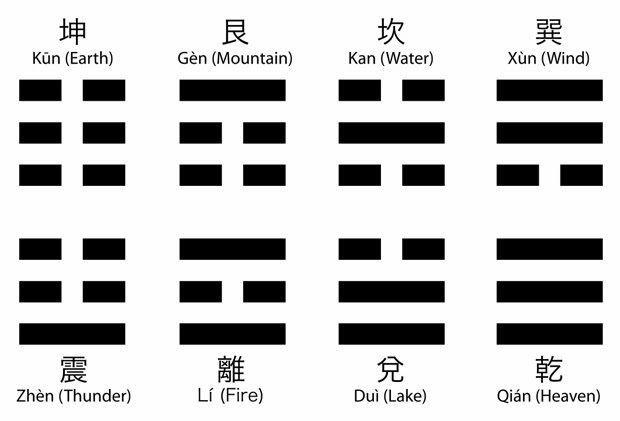 Images are contained in strongly defined ovoids and S and U shapes that are organized into larger forms, all interconnected to fill the entire surface of the piece. 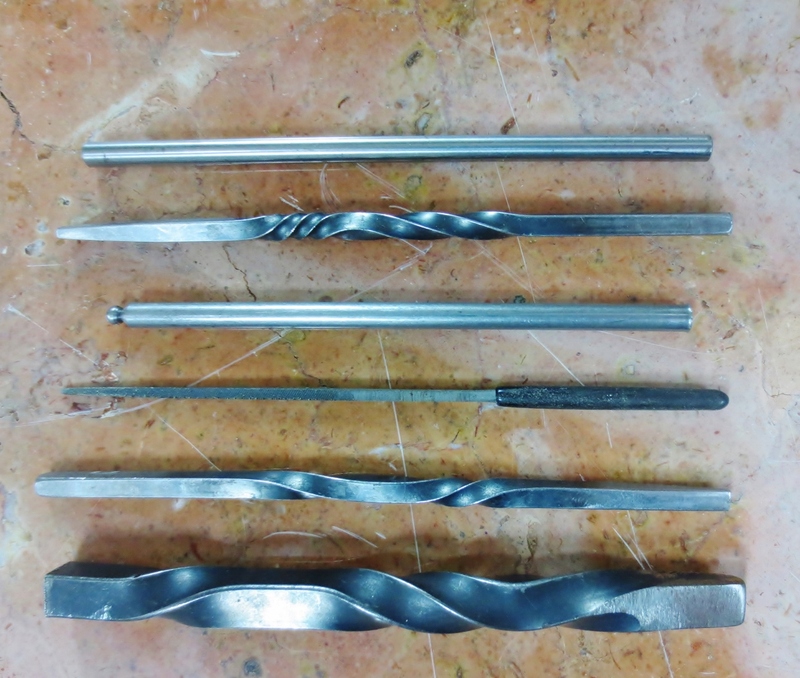 Charles Edenshaw’s technique is precise and controlled, whether he is working in wood, argillite or metal. In his silver and gold work, his engraving is astounding. Hand engraving is a demanding technique that requires a lot of finesse and control; curved lines are the most difficult to achieve. 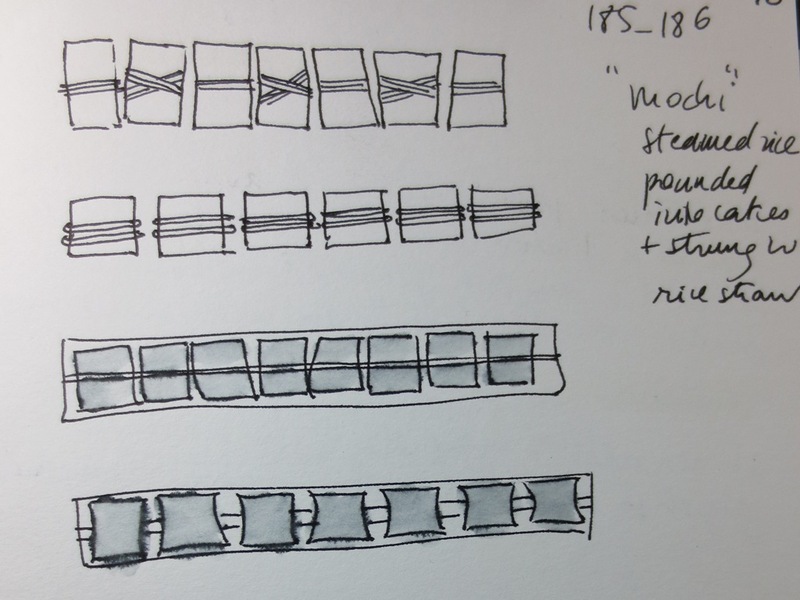 In Edenshaw’s work, the lines, despite their precision and their control, are never rigid or contrived. Elegant curves flow, seemingly with ease, connecting the different areas of the design organically. Take for example his series of silver and gold bracelets which features themes that he revisits several times. Each individual piece, thanks to subtle details added or to different inflections of the lines, remains equally fresh and strong. They may be similar pieces, but not copies drained of their energy and spirit. As I wrote at the start, it is my intention to bring my students to view this show. Nothing can replace the actual experience of being in the presence of this artwork. We do have amazing technology that gives us easy and (mostly) free access to art anywhere anytime, but experiencing that art, just like the environment that inspires it, involves much more than just our visual sense. 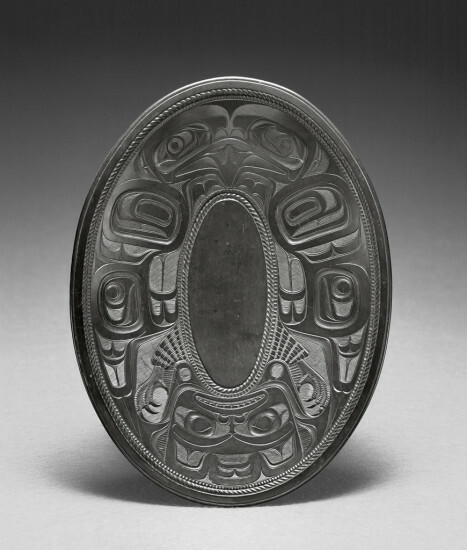 This entry was posted in seen & read and tagged Charles Edenshaw, Dominique Brechault, Haida Gwaii, Northwest Coast art, Vancouver Art Gallery on January 13, 2014 by metalandmettle. 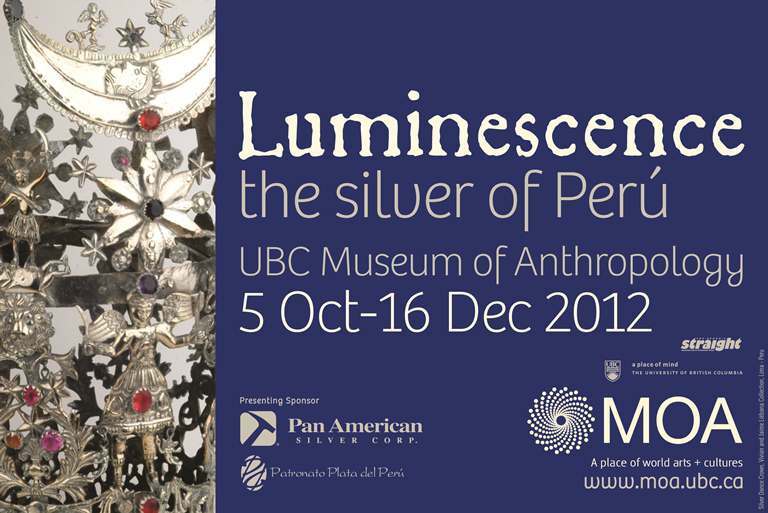 Luminescence, the silver of Peru, Museum of Anthropology, at the University of British Columbia, until December 16, 2012. 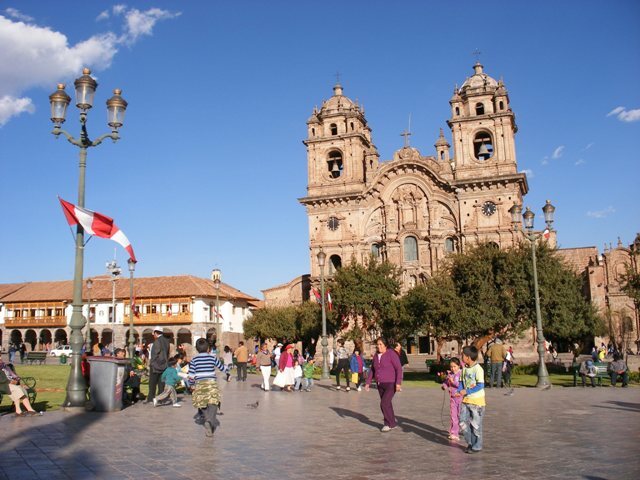 I was traveling in Peru recently and I had the chance to see many examples of Peru’s dazzling metalwork in the museums and churches of Lima and Cusco. So I was thrilled when I found out I would have another opportunity to see these treasures right here at home. The exhibition is well organized and divided into four main historical periods over three thousand years: pre-Columbian, Colonial (after the Spanish conquest in 1532), Republican (after Peru’s independence in 1821), and finally the contemporary era. 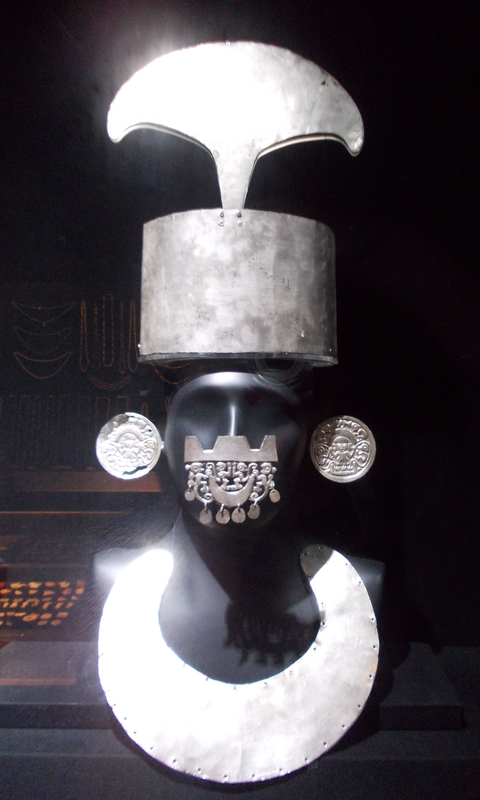 From the pre-Columbian period – my favourite – which consists mostly of Moche, Chimu and Inca artefacts, there are body ornaments and various ritual objects, including two remarkable tunics made out of hundreds of small silver tiles. During the Colonial period, silversmiths made altar decorations and liturgical objects commissioned by the Church. After Peru gained its independence, they created delightful naturalistic pieces inspired from the fauna and flora of their country. A few striking contemporary pieces are included as well. The exhibition gives a very good overview of the prodigious silverwork of Peru and of the exceptional level of virtuosity of Peruvian silversmiths. 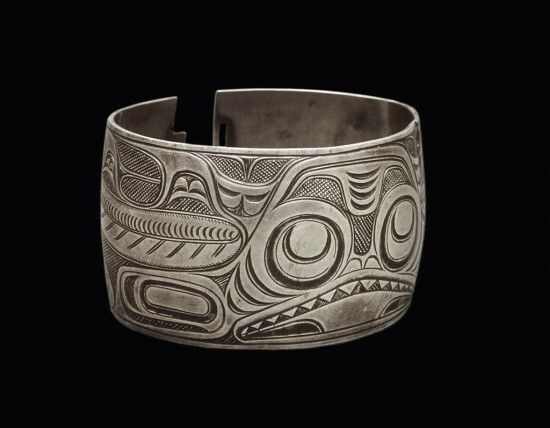 The curator chose to present the artefacts in a way that really emphasises their beauty – or, as the title of the show states, their luminescence – and conveys the importance of silver in Peru. Silver and gold were associated with the Moon (Mamaquilla) and the Sun (Inti), the two most important deities; silver was considered to be the tears of the moon. And this really resonates with me. I remember back in July when I was on the Inca Trail on the way to Machu Picchu, standing outside the tent at night under the Milky Way, with the brilliant silver moon above; it was hard not to believe that Mamaquilla was watching over us. 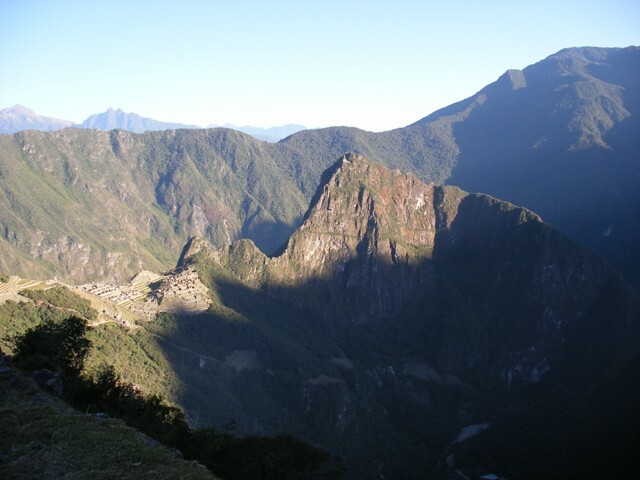 Machu Picchu itself is perched on a ridge between towering mountains, and is perfectly aligned with the movement of celestial bodies. 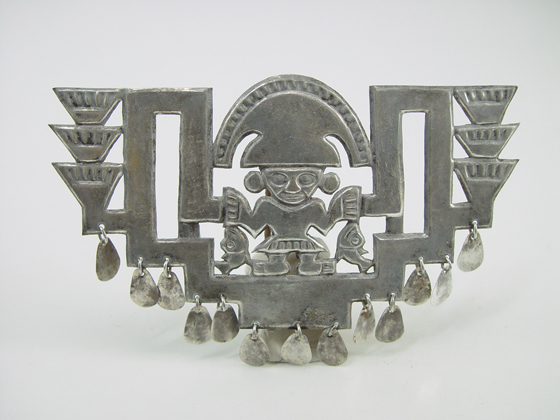 Silver, because of its reflective qualities, of its luminescence, was indeed at the heart of the Andean civilizations. Despite the fact that I really enjoyed seeing this impressive display of extraordinary work, where dramatic lighting brings the objects to life as you walk through the darkened rooms of the gallery, I had some issues with the display. The captions are much too brief. 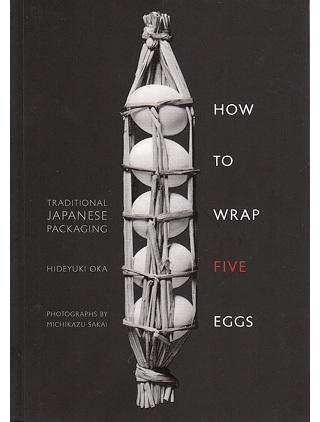 Even a succinct description of each piece would have helped, particularly some information about the techniques used (i.e. casting, embossing, filigree, etc. 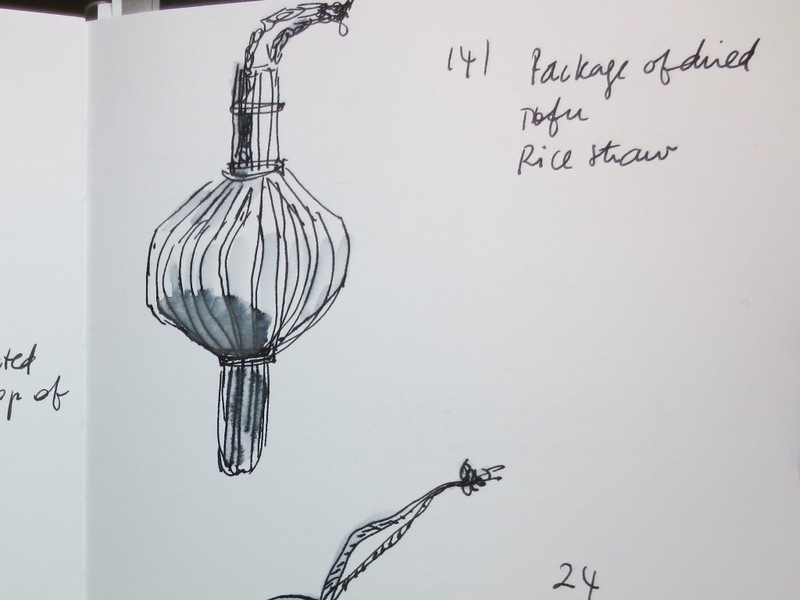 ), so it would have highlighted the virtuosity of the silversmiths. Of course, as a silversmith myself, I always want to know how things are made, but I think that even for the general public, finding out more about the techniques employed by the metalworkers would have shown what they could accomplish, even with limited technological means, and how skilled and sophisticated they were. 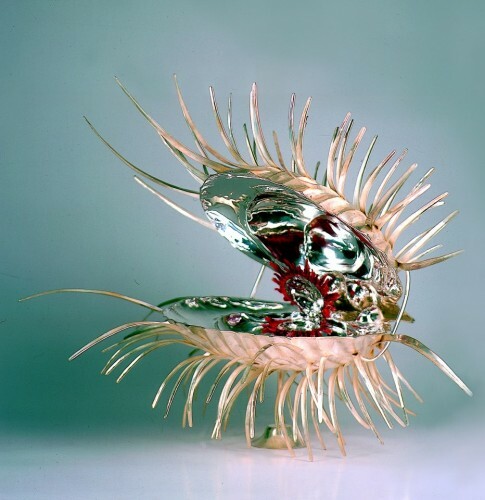 I understand that the premise of the exhibition, according to Dr. Anthony Shelton, the curator, was to focus on the “idea of silver” rather than on the objects. I think that the way some of the objects are displayed, especially some of the pre-Columbian pieces, is not doing this justice. Let’s take for instance the nose ornaments. The caption seems self-explanatory enough, but it was in fact much more than an ornament. 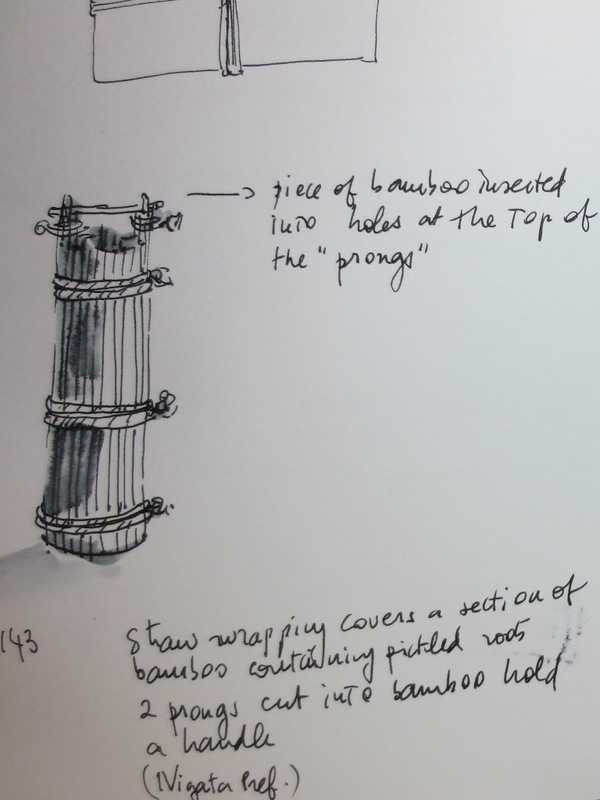 The guide at Museo Larco in Lima told us the true function of these objects. 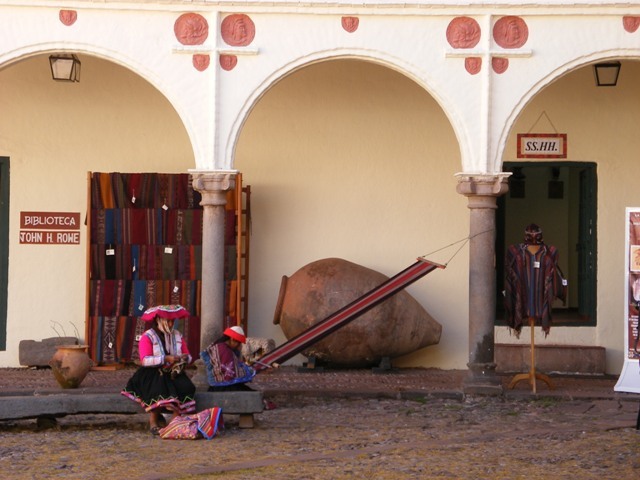 A nose ornament would have been worn by the ruler, the Inca for instance, or a member of the nobility. 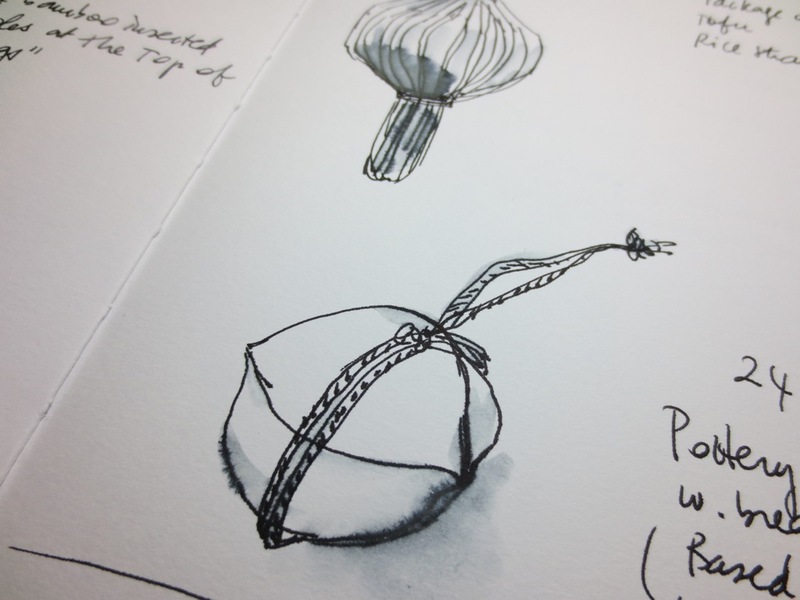 It was attached to the nostrils and hung over his mouth so that it would flutter when he spoke. And the words coming from his invisible mouth would have materialized in the gleams of silver and gold as the metal moved. To see these supernatural flashes of light as he spoke would have made him look more otherworldly and divine. 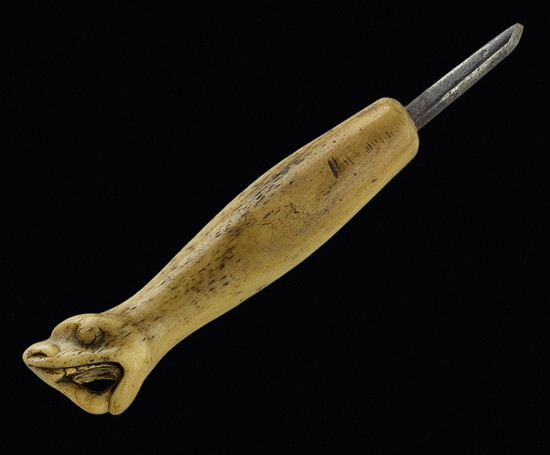 Unfortunately there is nothing in the way this piece is displayed that hints at its role as a ritual object. It would have been helpful to display it on a mannequin or to include an illustration of how it would have been worn, and in what context. 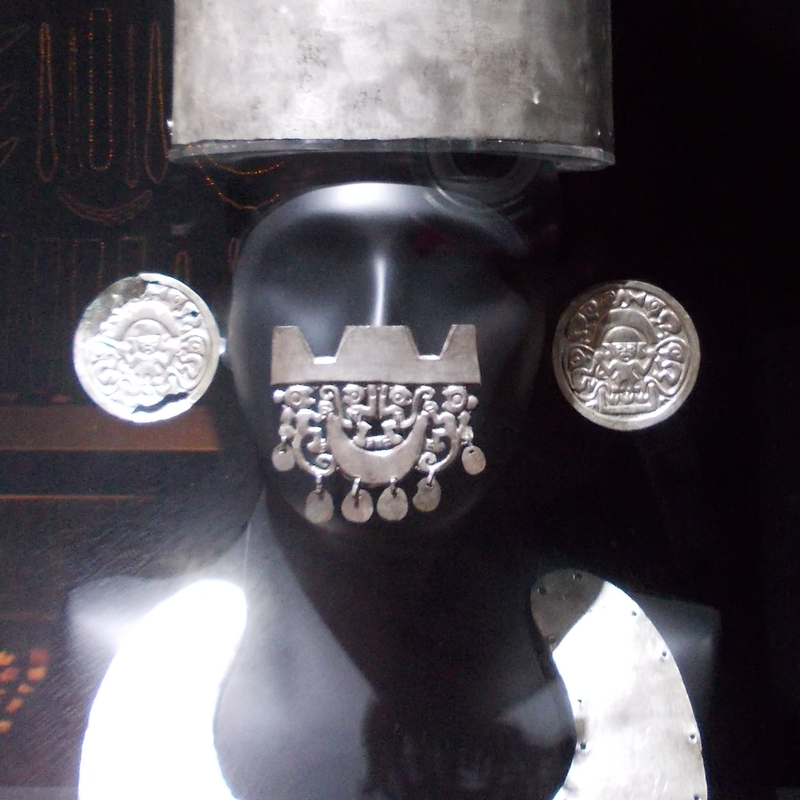 Silver and gold played a crucial role in the Inca Empire, not only in its culture, but in its politics as well. For the people of the Andes, silver and gold were especially important not because of their monetary or aesthetic value, but because of their spiritual meaning. These luminous metals embodied the divine power of the moon and the sun. This is very well articulated in the catalogue of the exhibition (ISBN 978-612-46274-0-8, edited by A. Shelton) which is thorough and informative. It provides substantial historical and sociological context, and explains the role of silver in pre-Columbian religion and politics. Sadly, unless you buy the catalogue, you won’t be able to find out. Some of this information should have been readily available on the panels accompanying the exhibition; instead, these panels are too general. Despite these disappointments, I would still recommend this show, and if I were to rate it; I would give it 4 out of 5 stars. 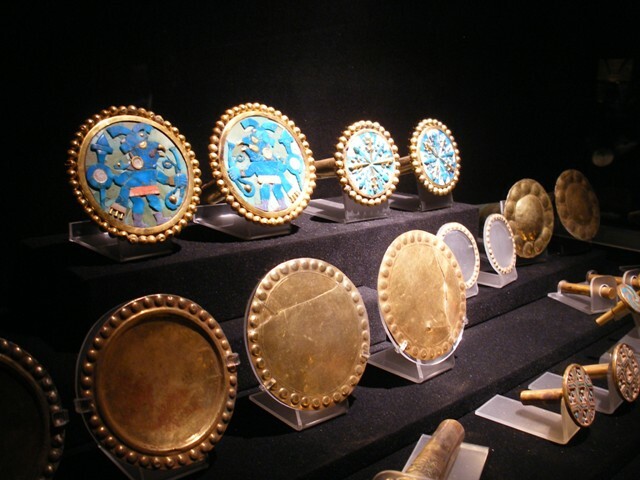 These are beautiful and important objects; many of them are being been shown outside of Peru for the very first time. It is a rare opportunity not to be missed! This entry was posted in seen & read and tagged Cusco, Dominique Brechault, Lima, Luminescence, Machu Picchu, metalsmithing, MOA, Museo Inka, Museo Larco, Peru, pre-Columbian, silver on November 12, 2012 by metalandmettle.